HSR Layout is a residential area spread over 7 sq kms and situated at the confluence of Hosur Road and Sarjapur Road. 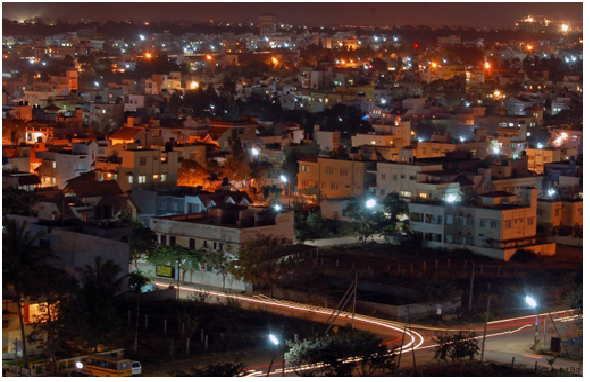 Developed by the Bangalore Development Authority in 1984, it gets its name from Hosur Sarjapur Road Layout and is built on land reclaimed from the Agara Lake.This locality is divided into Sectors 1 - 7and boasts wide main roads,several arterial by-lanes, lots and gardens and parks. HSR Layout is located close to areas like Electronic City, Whitefield,Koramangala and Jayanagar, making it a desirable residential location in Bangalore. Its close proximity to IT Parks and other premium localities has fuelled its realty growth. Mosthome owners here are IT professionals and 1, 2 and 3BHK houses are the most sought-after units. HSR Layout offers apartments as well as independent houses for the new home buyer. The average price of apartments here falls between Rs 4,500 to Rs 5,000 persq.ft. The average price of independent houses is between Rs 8,000 to Rs 9,300 per sq.ft. HSR Layout has great connectivity to its nearby localities like Koramangala and BTM Layout.Whitefield and Electronic City – the two major IT hubs of the city, are only 7kms away. The area is well connected by BMTC buses. HSR Layout is 14kms from Bangalore City Junction, City Railway Station and about 55kms away from Kempegowda International Airport. The airport is easily accessible due to KIA buses that ply from various points in the city. HSR Layout has a thriving social fabric. The locality has various eateries, restaurants, banks, fitness centres, retail outlets and departmental stores. The JSS Public School, the National Institute of Fashion Technology (NIFT), Narayana Hrudayalaya Clinic, Bruhat Bangalore Mahanagara Palike and HSR Club are located here. Looking to buy your new home or perhaps a good rental investment? RoofandFloor has great listings for projects in HSR Layout. Your dream property is just a click away. Anita is a content professional for the past 15 years and has worked in both traditional and digital media. She transitioned to digital media early on in its advent in India. She will never say no to toddler-proof keyboards and caffeine.